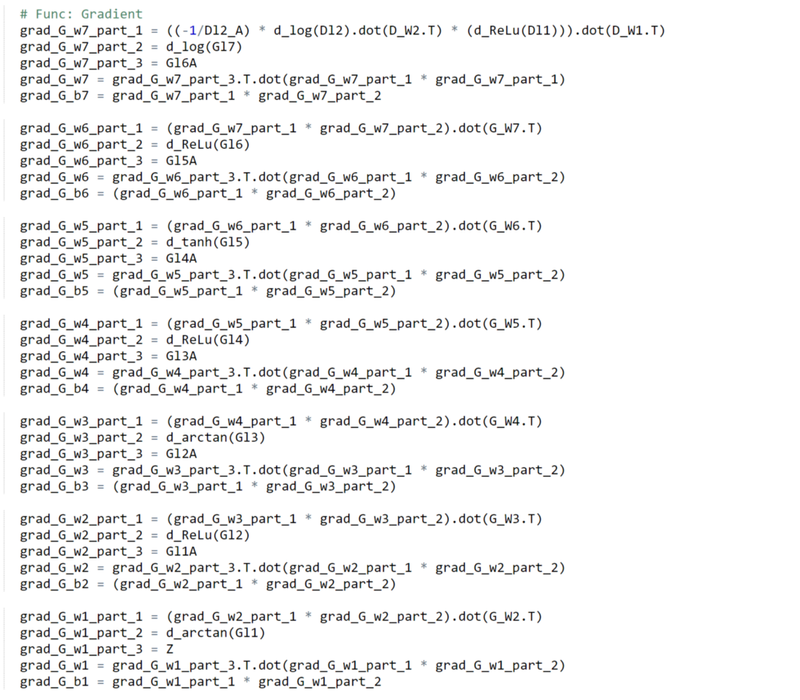 Again, I won’t go into too much details, but please note the Red Boxed Region called Data. 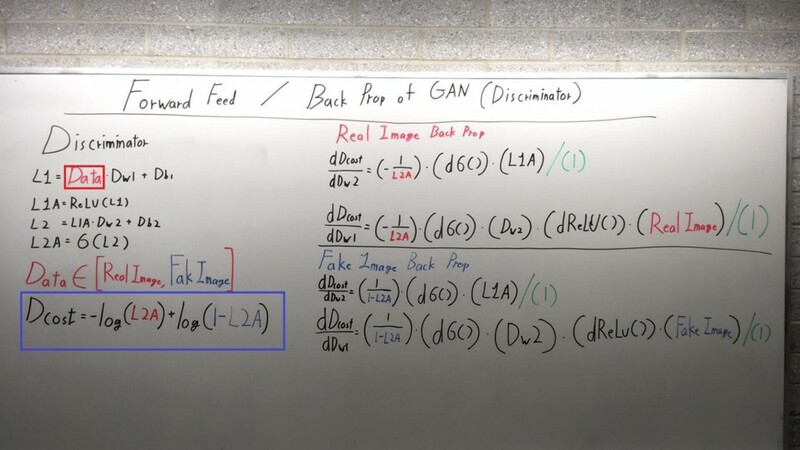 For the Discriminator Network in GAN, that Data either can be Real Image or Fake Image Generated by the Generator Network. 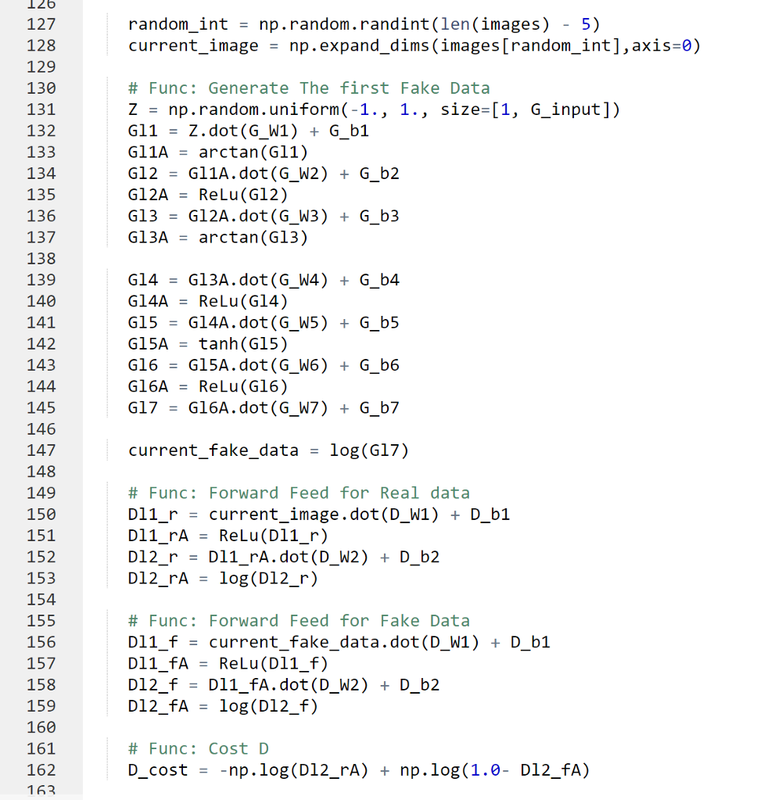 Our images are (1,784) vector of MNIST data set. Line 162 — Cost Function of our Discriminator Network. 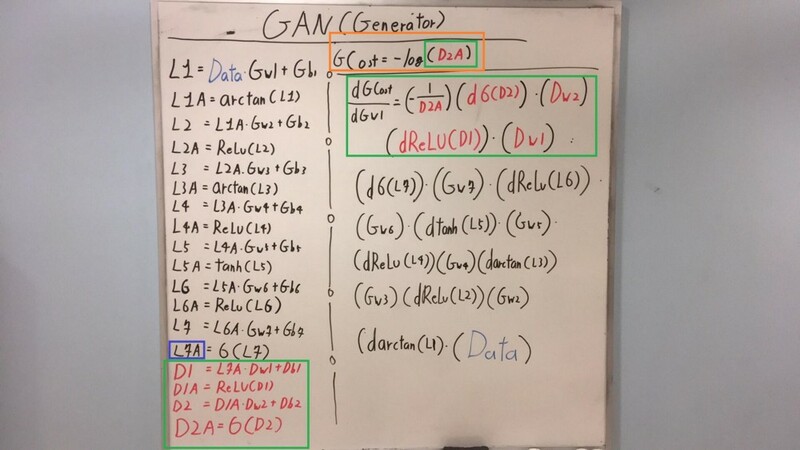 Green Box (Right Corner) — Back Propagation Process for Generator Network, but we have to pass Gradient all the way Discriminator Network.